The Blasted Lands is that dreaded second book in a series. You know, the one that is suppose to build upon all the good things from the first installment while adding just enough new plots and lore to keep the story fresh but without actually revealing the ending that will come in a book or two. 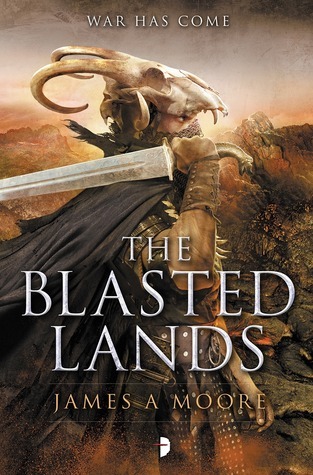 Honestly, writing a second installment in a fantasy series is a hard juggling act for any author, but in my opinion, Mr. Moore not only succeeds with The Blasted Lands but excels at it! Naturally, the story picks up where Seven Forges ended. Pathra Krous, Emperor of the Fellein Empire is dead, killed by the Sa’ba Taalor, who emerged from the mysterious blasted lands in peace before viciously murdering their host. Now, the task falls to Drash Krohan, First Advisor to the Emperor and legendary sorcerer, to pick a capable ruler to replace Pathra. While this is always a trying task for the wizard, it is more imperative than ever, because the Sa’ba Taalor of the Seven Forges are coming! Some few in Fellein try to deny the inevitability of the coming war. More than a few of the royal family wish to ignore it all together as they fight over the throne, but Drash Krohan will not tolerate any such foolishness, for he recognizes the truth. Perhaps the armies of Sa’ba Taalor will not be in Fellein in a week or a month, but without a doubt, soon the blasted lands will be crawling with them, as they come to destroy the Empire. And while General Merros Dulver seems to have the correct qualities to lead Fellein’s armies, Drash isn’t so sure that all the soldiers of the Empire will be enough to hold back the strange, grey skinned people of the Seven Forges. For, you see, the Sa’ba Taalor are a unique breed of humans, almost otherworldly in their greater strength, endurance, and reflexes and more gifted in killing than even the finest Fellein warriors. Reared in their isolated valleys, these people are an unknown quantity, devoted to their living gods and more than willing to destroy anyone or anything that stands in the way of their plans. And therein lies Drash Krohan’s most pressing task: discovering just who and what the Sa’ba Taalor really are and why they wish to destroy Fellein! 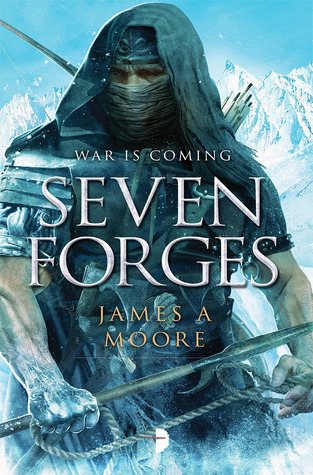 From this beginning, the story develops along multiple lines as Mr. Moore seamlessly shifts from Drash Krohan and General Dulver frantically trying to plan for the inevitable war to Andover Lashk, Fellein ambassador to the Seven Forges, living among the Sa’ba Taalor themselves. One chapter will follow Drash Krohan’s “Sisters” gathering information across the world while the next will focus on a secret expedition to the mysterious Mounds in the Blasted Lands. And inevitable, every few chapters, the mysterious Pilgrim will make an appearance, referring to the old gods awakening and his own shadowy mission; a mission that is somehow tied to the re-emergence of the Sa’ba Taalor into the world. Without a doubt, in The Blasted Lands, Mr. Moore has woven an interesting story that not only side steps the second book letdown but is, in my opinion, even better than the first. Where Seven Forges teased a reader with the Sa’ba Taalor and their strange land, The Blasted Lands goes a long way toward fulfilling their promise, revealing much more about their culture and history as well as hinting at the origin of the waste lands themselves. And while the Sa’ba Taalor are still the stars of this show, Mr. Moore has also deftly turned the Fellein characters into more than cardboard scenery for his master race, as Drash Krohan, General Dulver and Andover Lashk shine in their own special ways. All in all, this novel was a great read, and this series is definitely one to watch for any true fantasy aficionado. I received this book from Netgalley and Angry Robot in exchange for a fair and honest review. I’d like to thank both of them for allowing me to receive this review copy and inform everyone that the review you have read is my opinion alone. 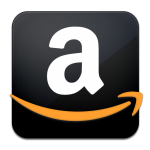 This entry was posted in Fantasy, High, Sword and Sorcery and tagged angry-robot, best epic fantasy 2014, best epic fantasy series, Blasted Lands, Drash Krohan, James A. Moore, Sa'ba Taalor, Seven Forges, The Blasted Lands. Bookmark the permalink. Great review, this wasn’t on my high priority of sequels, but after hearing you and others say it was even better than the first (and I liked the first), I may bump this up.